We all need role models in our lives who we can look up to and derive strength from during tough times. School students face their share of stress during their academic careers and a role model can help them to pull through. And there cannot be a better place to look at beyond our freedom fighters who sacrificed everything for the sake of this country and had seen some of the worst of life’s struggles. We can learn about dedication, determination, hard work, perseverance, positivity and much more from these figures and they are no doubt one of the best role models till date. Here is a list of life lessons that we can learn from their lifestyle and preaching and use them as our inspiration. They were leaders, they motivated our people to fight for their rights and their ideals were something that can shape our lives. Let us remember these greats through this post and look at what all they taught us. That is what Bapu always preached to resolve conflict with the British. Be it his famous Dandi movement or renouncing British made clothes, every form of protest revolved around non-violence. He advised his followers never to fight back and adopt Satyagraha as the core mode of revolution. We can adopt his teachings in our lives to manage a dispute and claim what is rightfully ours peacefully. Aggression leads to more aggression and the matter at hand takes a step back. The top school in Sonipat stresses on the teachings of Bapu as the father of our nation still continues to inspire us. As non-violence cannot always work. Netaji showed us that there will be times when you need to show your strength, take stricter actions and deal with things with a firm hand. He left the Congress, fled from a tight British security and led an army to corner the East India Company. It shook the confidence of the foreign reign and inspired millions across the country to protest harder. Bose taught us to fight for our rights by being firm about it and overcome any obstacle that the opponent may present. No one is superior and Netaji proved that with his actions. Also known as Jhansi Ki Rani, she protected her homeland against the full force of the British army through sheer willpower. She fought to her last breath and present a challenge that the whole nation respected. She is a role model for every woman and we must learn from her to what lengths we can go if we set our minds to it. CBSE schools in Sonipat include Rani Laxmibai in their curriculum for this very reason, to show the students the power a woman can possess and the leadership skills that can come out from the love of the country. And you can add many more names there. Tagore fought for freedom through his writing. He gave up his Knighthood to protest the Jallianwala Bagh massacre. He gifted the country its national anthem to lift the spirits of every fighter. Figures like Tagore and Bankim Chandra Chatterjee teach us that there’s another form of protest to claim our rights. We can express ourselves through our writing and send out a strong message to make a difference. We can do our bit as much as possible and do not have to take part in the actual march. Every action matters and every way are useful. Although they were not a part of the original fight for freedom, our army continuously fights to keep our democracy alive. 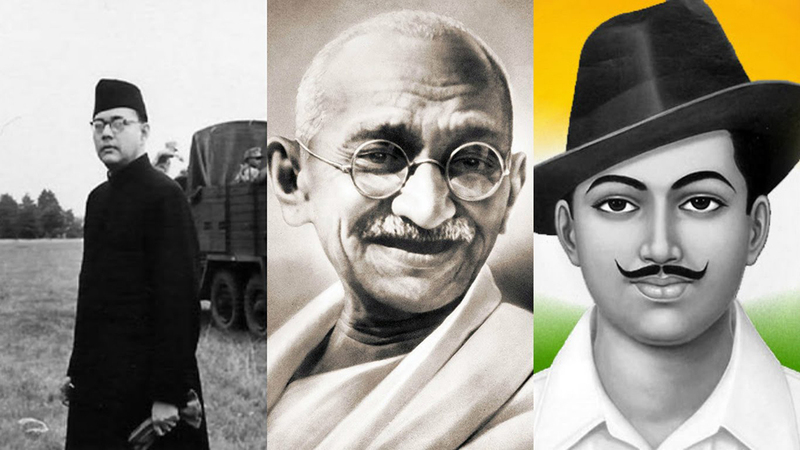 They are our current age’s freedom fighters and are no less of a role model than anyone else in this list. Take the Kargil War for example when our soldiers fought tirelessly for two months to keep out an outside attack. They did it to protect their home and save the family of Indian people who live in it. Every year, we celebrate Shaurya Diwas to pay homage to their bravery and we must learn patriotism from them. If we respect our nation and its people like the army, the whole country will be a better place. And apply their teachings in your own way. The best school in Sonipat like Swarnprastha uplifts these figures in their campus and finds ways to inculcate their principles in their lessons. They encourage their students to know more about our freedom fighters, learn valuable lessons from them and be a better being in their life. They gave more to our country than we can imagine and we can also give some in every way possible.